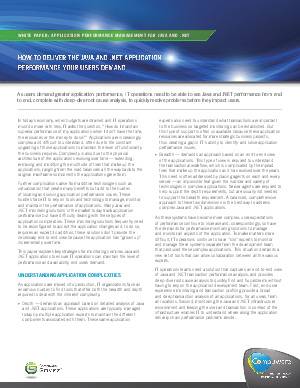 provides insight into the health of the application servers before and after a problem occurs. Register now to learn more about getting a complete view of your Java and .NET applications - from the enterprise to end user. Only from Compuware.